1 - Need Based: If you need help paying for any of our programs, please fill out the financial assistance form here. 2 - Merit Based: Read below for details! Kelsey Whitby coached for the Flathead Rapids for six years and was admired by many young women and their families. 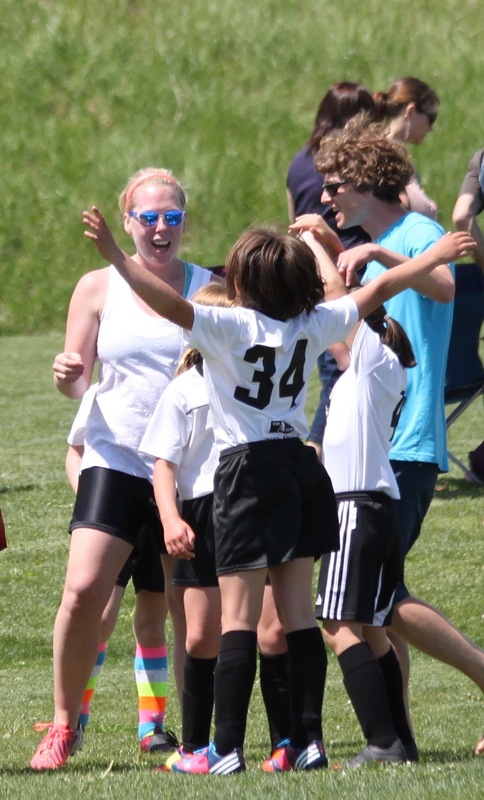 In addition to the soccer skills she helped them develop, these girls learned work ethic, responsibility, teamwork, cooperation, kindness, tenacity, and a love for soccer under her direction. As a player, Coach Kelsey was a talented goalkeeper and was captain of the Flathead High School Bravettes. She had a love for the game, but her natural and unshifting love was for children. Raising and coaching kids was her passion, and she was equally as talented at caring for them as she was on the soccer field. Coach Kelsey focused on coaching young girls soccer and helped cultivate teams that are still banded together as friends and players. Her coaching style was wholehearted, energetic, and loving. Her goal was to produce players who were passionate and positive and who had love and respect for the sport and their teammates. She encouraged everyone to have fun, but she particularly enjoyed watching players who were passionate, focused, caring toward their teammates both on and off the field, and who held positive and encouraging attitudes. Her iconic line, “Play like a boss,” was her way of telling players to find themselves though the game. She wanted girls to allow themselves to shut-out the rest of the world and get lost in the game, to dig deep, focus, and play with passion for themselves and their team. Her wish would be for many girls to find that type of energy in themselves and to use soccer as a way to find it and then represent it. Each season, one (1) returning Rapids female soccer player on a U10 or above Rapids team will be awarded a scholarship for $250 to go toward Rapids registration fees. The scholarship will be merit based. Applications will be scored with player names removed for anonymity. The application will include basic demographic information (name, age, player group, contact information, etc.) and two questions, each to be answered online in 100 words or less. Please fill out the following form to apply for this scholarship! After reading the description of Coach Kelsey in this application, how do you demonstrate similar characteristics on and off the field? Thank you! The Rapids Board of Directors will be in touch with you soon!